Fish Vision Choker Jigs (UV PURPLE 1/4 oz.) 2 Pack! 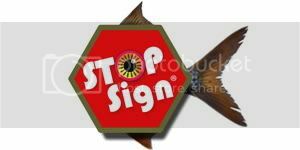 STOP Sign (tm) Lure prepped and ready for Fish Vision UV painting. STOP Signs come in 3 sizes. Dont foget to check out all of Fish vision UV Jig & Lure Paint Kits.